Hi Guys! 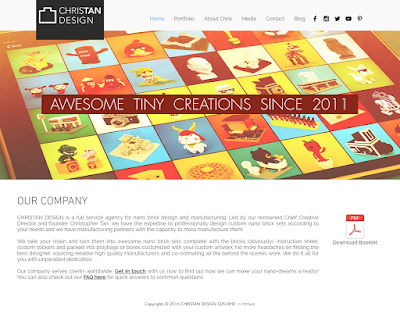 I have just set up CHRISTAN DESIGN, a company specialising in custom nano brick design and manufacturing. You can check out the website over here and the Facebook page is over here. Do check it out and tell all your friends about it, okay? =D ... A PDF booklet about our services can be downloaded here. Thank you so much for your support!